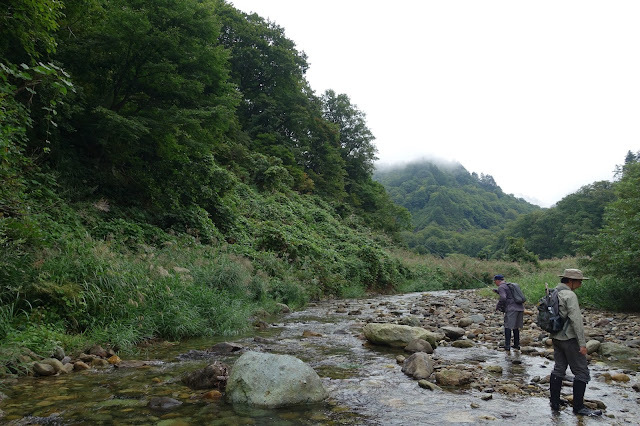 The term “Keiryu” is a broad Japanese term for all of mountain stream fishing. 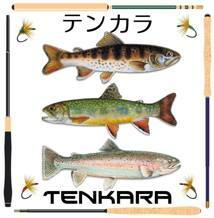 It could be fly, bait or Tenkara fishing. Although the Japanese have been fishing for centuries and have developed their own fishing and styles of wading equipment, they also enjoy outside influences in their fishing apparel just as we do outside of Japan. 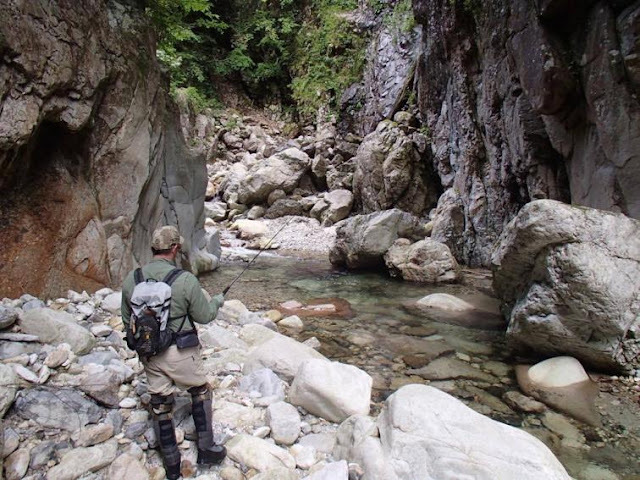 In this article, we have a few anglers that choose the Japanese style of wet wading and their stories of how they came to choose this type of gear. 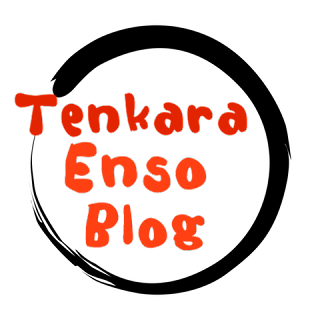 Below you will find links that will take you to the companies that make this gear. Anyone who has discussed the topic with me knows that I really like wet wading over using waders, even into the shoulder seasons. There’s nothing better than the feeling of standing in the water on a sunny day, not feeling sweaty in your waders or being bogged down with many extra layers. 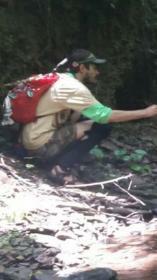 I learned about wet wading from watching Japanese videos and Tenkara anglers online. When I traveled to Japan last year, I was able to buy a full setup that fits my needs and the style of fishing that I do. I knew that it would be the smartest move I’ve ever made in terms of purchasing gear for regular use, and I am happy to say the results have been just as great as I had imagined, if not better. Over the last two fishing seasons I have tried a few different setups, and at this point I’ve settled on a relatively “standard” Japanese-style setup that includes a neoprene high-sock – Foxfire Airista Series, a neoprene gaiter with the knee-pads – the Daiwa Neo NG-400 Gaiter, as well as a set of rubber-soled, heavily-studded wading boots from Orvis. On occasion I’ll swap the heavy boots for lightweight water shoes, but only if I’m going to be backpacking and need to be as light as possible. Another part of this setup that a lot of people don’t think through much, mostly from lack of experience in wetsuits, is your choice of pants or shorts. In order for the neoprene to do its job and allow your skin to regulate the temperature under those gaiters and socks, it MUST be touching your skin directly. If you put this stuff on over your pants, you are corrupting the functionality of the setup. My recommendation is to wear shorts, ¾ leg pants, or your quick-dry pants with the leg rolled up to the knee. 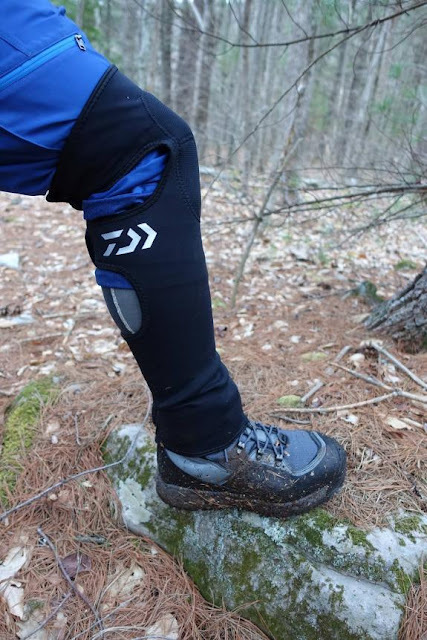 Alternatively, there’s nothing wrong with just pulling the pants down over your gaiters and covering the whole setup, but that would just transfer the wear and tear to your pants from the neoprene, which tends to be much more durable. Because I fish more “extreme” locations often, I find the nature of the Japanese wet wading setup to be better fit to my needs than most American-sold or designed products. I find many of these waders, hippers, boots and other bits of gear to be largely designed for people who walk 25 feet from the car to the river, and stand relatively still all day. That does not fit my style in the slightest. 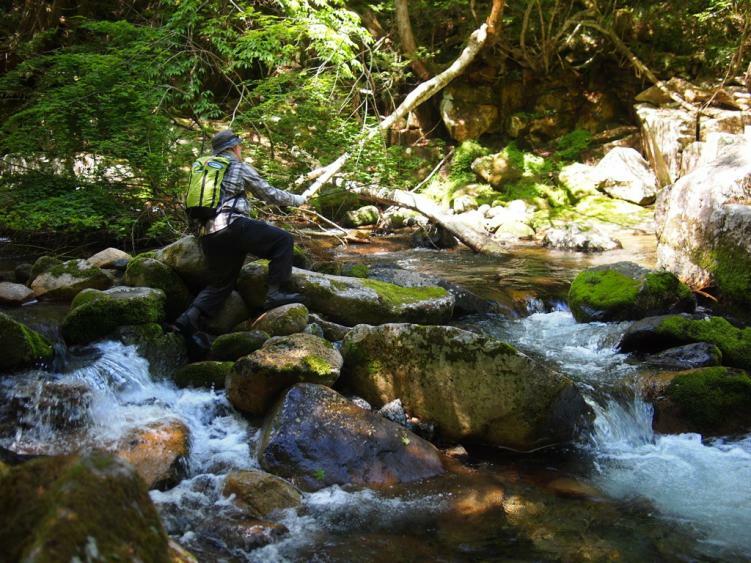 Successful cold-water river Tenkara involves covering a lot of ground (or water,) and you will not be well served by gear that gets beat up in the brambles and scraped along the rocks as you move quickly along. Additionally, Gore-Tex may market itself as breathable, but you won’t feel very good working your way up the stream on an 80-degree day decked out in your newest waders, I guarantee it. And as much as you may wonder how it could possibly keep you warm in the cold weather… fear not, it works. I’ve spent many 45 degree days wet wading with this exact setup. Just remember to wear extra layers and a hat, because it will take more body heat to keep you warm when the air is as cold or colder than the water. 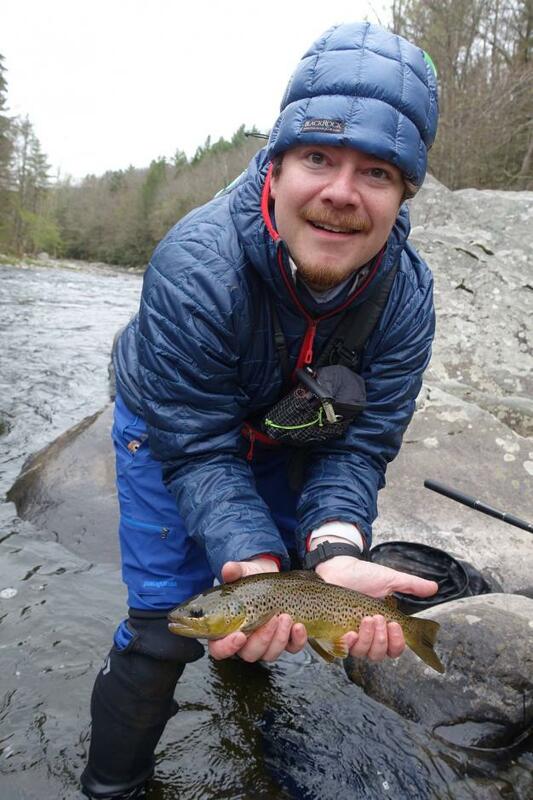 Grab some wet wading gear and give it a try! 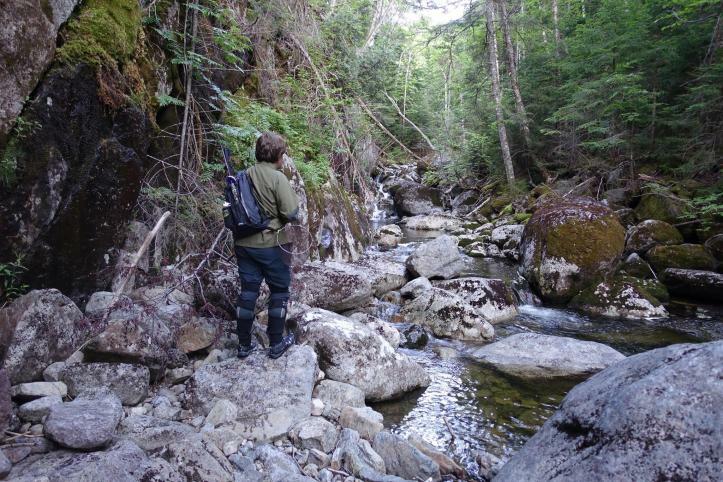 Like many anglers with a fly fishing background I have been a longtime user of waders. 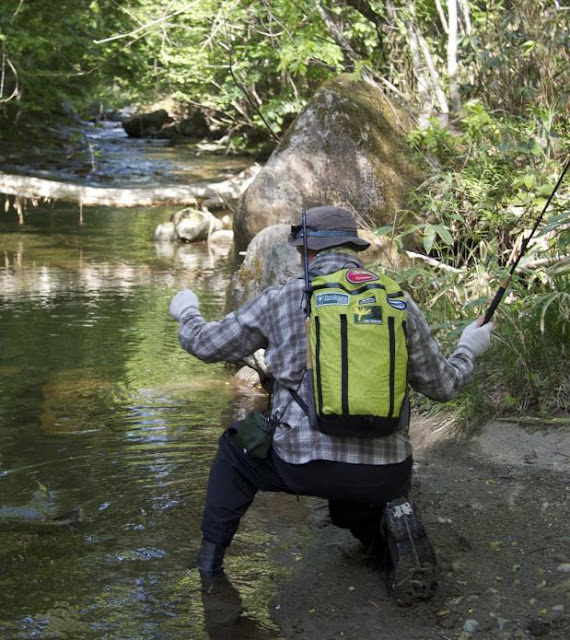 I started by neoprene chest waders and like many people switched to « Gore-Tex » (or similar) breathable waders when they started becoming popular and easy to purchase almost anywhere. Through out the seasons I was becoming more and more unsatisfied with « Gore-Tex » chest waders, I think that the average quality has gone lower and lower for many companies and the last pair I purchased were the worst ever tried. The seams were very weak and the fabric also was so after a few outing the only thing to do was to dump this bad quality garment and look for something else. Since then I have adopted the Japanese style of wet wading gear. For my boots I have been using Caravan Keiryu KR1 felt sole model and that is by far the best wading shoes I have tried. They do not have any foam padding like the average wading boots and that makes them much comfortable and functional. The lack of padding also makes them very easy to get dry which avoids the dead rat smell of most wading boots. Contrarily to a well established myth felt soles have more grip on slippery soils than rubber soles and it is not by chance that in Japan most people practicing genryu fishing and sawanobori are users of felt soles. I agree that cheap felt soles are bad quality but I am making my third trout season with the same pair of Caravan shoes and the soles are still in pretty good condition despite the numerous miles I have walked onto and from the stream during these almost three years. I have become a user of neoprene spats to get insulation from cold waters and also to protect my legs from thorns, insects, leeches, etc. I have always worn the Caravan Keiryu spats and I am totally satisfied with it. They are cheap and very strong. I do not wear spats with knee pads as I prefer keeping the maximum range of motion, and I do not use my knees often when fishing. For my pants I have tried a lot of different products through out the years from various companies and now I generally wear « hiking » pants. I prefer lightweight and stretchable fabric. It is important that your pants have a water repelling treatment and the ability to dry out fast because it is really unpleasant to walk with a pair of pants sticking to your legs. The time when I did spend a lot of money in this kind of products is over as I have experienced that my fishing pants had a short lifespan that is why I now only purchase mine from companies like Field & Fish or Quechua. Living in an area where the sun is not really agressive I have been accustomed to go fishing wearing a short sleeve shirt but I have taken bad sunburns while fishing in the south of France and also in Japan and this negative experience has brought me to modify my clothing. I now wear long sleeve shirts. I like the fishing shirts made by Field & Fish which are incredibly light, comfortable and UV blocking. Like many people of my generation I often wear a hat. For a long time I have been only wearing baseball style of hats and I still use some from many brands such as Patagonia, Yupoong, Loop and countless others. I have a military beanie in digital camo pattern. I also like more traditional styles of hats and especially duckbill caps. I own a few from Laulhère, Crambes, Override, Stetson and I now prefer them to my sport hats as they are really lighter and more comfortable. I do not use a lot of accessories except a Buff tube for very sunny days. 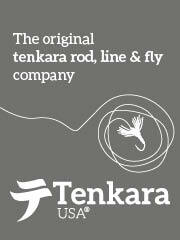 As for tenkara fishing gear I think that tenkara fishing clothing is better if simple and functional. My fishing equipment consists of wading gear that I have been choosing, wearing what works for twenty plus seasons. In the beginning, like everyone else, I used chest waders. Depending on how long I spent in the water and how deep I was wading, that was the decision of which material my waders where made of. My earliest chest waders where made of neoprene or wet suit material. Neoprene has insulating and padding attributes that fabrics that use a waterproof or semipermeable membrane do not. In the 90’s, the fabric, “Gore-Tex” became popular with fishermen choices in waders because it was light, strong, and cool. The Gore-Tex membrane that was laminated to fabric contains semi-permeable properties that allow vapor molecules such as sweat to go through the fabric yet water could not penetrate the fabric. Above the waterline, sweat could pass through the fabric yet below the water, the fabric is water proof. All kinds of options now were opened up for people that needed these properties. In my case, the Colorado River at Marble Canyon, the water temperature there is 45 degrees yet the air temperature could be in the 90’s. Cold on my legs, sweating hot anything above the water. 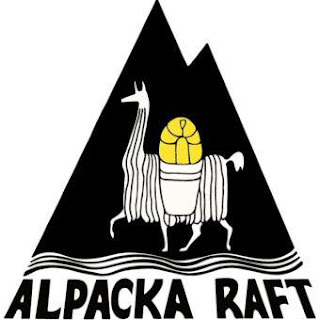 As I have chosen a Tenkara style of fishing mountain streams, my fishing and wading gear has reflected this choice. Most of my fishing has a hiking component. I am either hiking to the stream and then hiking along it or in it. Some streams I am hiking to and then gearing up to go fishing in. Wading in streams, choices in gear is important. There are so many different styles of equipment based on the type of fishing, choosing wading gear can be difficult and confusing. I think for me, it will be easy to start from the bottom and go up. For my boots, I use felt soles based on the streams I fish. 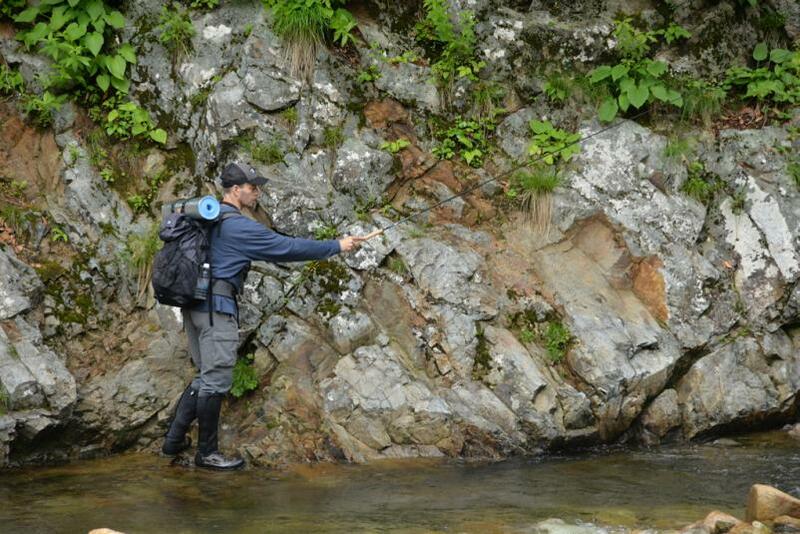 Felt works great for slippery algae covered rocks that are found in mountain streams and rivers. The flows in this environment can be swift and I use an efficient, compact boot designed to be as small and streamlined as possible. Many of my boot choices over the seasons have the appearance of climbing boots. I am using my feet to search for stable foot holds and I the last thing I want is a big boot with sharp sides and edges that will stick as I try to move my footing from one step to another. Big boots in high flows create drag and are hard to move upstream against the flow. 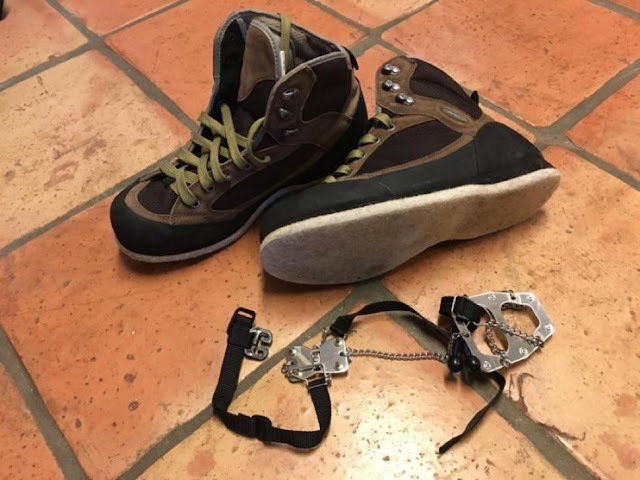 The Japanese design boots for climbing steep gradient streams, they look like climbing boots and I choose this style of boots wether they are American or Japanese. I use a particular brand of crampon when wet wading streams that are steep, these are Pin Sole brand. When I am fishing, I try to stay OUT of the water as much as possible. Waders are not necessary for me so I use separate components to my wading kit. For my lower legs, a Japanese style “spat” or shin covering that is made of neoprene works well for me. This neoprene shin cover has a full length zipper allowing it to be placed over clothing easily. At the bottom, there is a hook that can be fastened over boot laces to hold it down. The spats streamline the lower leg in the fast flow, pad the shins and insulate the lower legs from cold temperatures. These coverings are easy to put on and take off for extended periods in or out of the stream. Many anglers choose to wear spats with a knee pad or they were spats with separate knee pads. I do not use my knees enough to warrant the choice of a knee pad but many do. For above the waterline, again, my choices are based on the type of environment I am in. Here in Arizona, the sun is brutal and it is hot. I choose cool, loose sun blocking shirts that are able to adjust for a variety of temperatures and sun exposure. I use button up shirts that are also based in travel designs. Companies such as Columbia and Mountain Hardware. I have some favorites but the design is nearly al the same for each. I do use a base layer at times, I use form fitting fabrics that “wick” moisture away and regulate temperature. I have been using Patagonia “Capelene” for more than 20 years for all my outdoor activities. Accessories such as hats, scarves and gloves are highly personal. My fishing hats are important in two aspects, one is sun protection for my head and two, personal style. I tend to make my own hats personalized by sewing on patches that reflect my interests. I won’t spend much time on this, really nothing to do with function. I do wear a head covering called a “Buff” made by the company of the same name. It is a light weight fabric tube that can be pulled over the head to cover the neck, pulled up to cover the neck and face and top of the head. Buffs are super important to my fishing for comfort in insect environments, sun exposure and general skin protection agains the elements. My hands get the same treatment. I generally use a style of fingerless sun glove. I have recently started using a glove by a Japanese company, it is a “hand cover” that leaves my palms and fingers bare but do afford protection against the elements. My hands get pretty beat up when I am out fishing, insects, the sun and moving through vegetation. My new Foxfire (Tiemco) “Scoron” hand covers are some of my favorite kit, I really like them. Your kit will vary. It is a highly interpretable choice for wading equipment. My own experience has been influenced by the Japanese. Their fishing would be called “extreme” by many Americans including myself. The Japanese mix different disciplines, sports in the mountains. 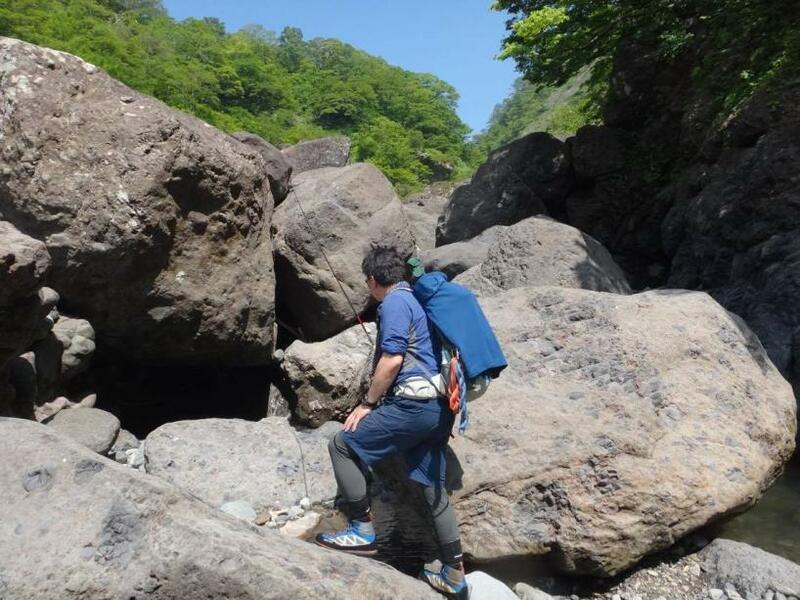 They climb their steeply fluted streams with climbing equipment (roped techniques for protection) and call this “sawanobori” or Shower Climbing. 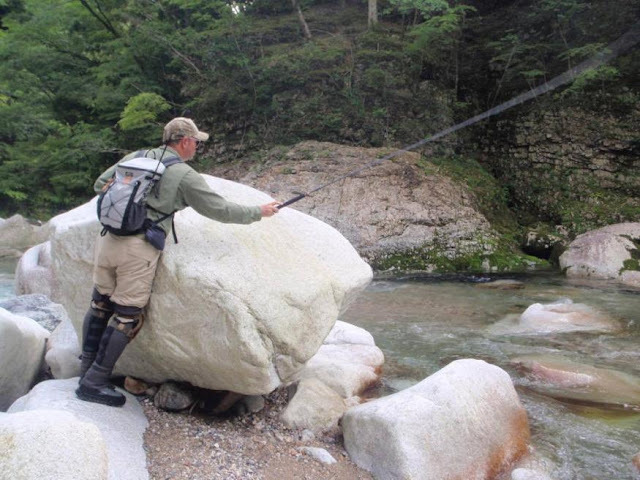 They (the Japanese) also do a form of fishing that they call “Genryu” which is a combination of hiking, camping, shower climbing and fishing. 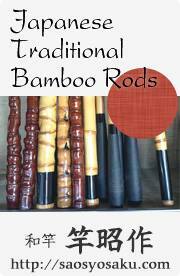 Their equipment reflects the style of fishing that they do. I often choose equipment from their sources based on the highly specialized and design features found within their choices. I have wet waded since I was young. I used to wear my actually wading boots and wool socks. Then I graduated to neoprene socks with tall gravel guards. I wore this set up for a long time. Fished all over the country with this set up. Then I bought my first pair of Chaco Sandals. This changed me. Now I could move my feet in the water without having 12 gallons of water in each boot. I then bought small neoprene socks with perforated holes in the bottom, this allowed the booties to actually drain! It was later on that I bought my first pair of neoprene gaiters. I got a pair of Little Present Wader Gaiters, again, my fishing life was changed. Now I could smash through thorns and thickets and bang my shins on rocks and not get hurt. 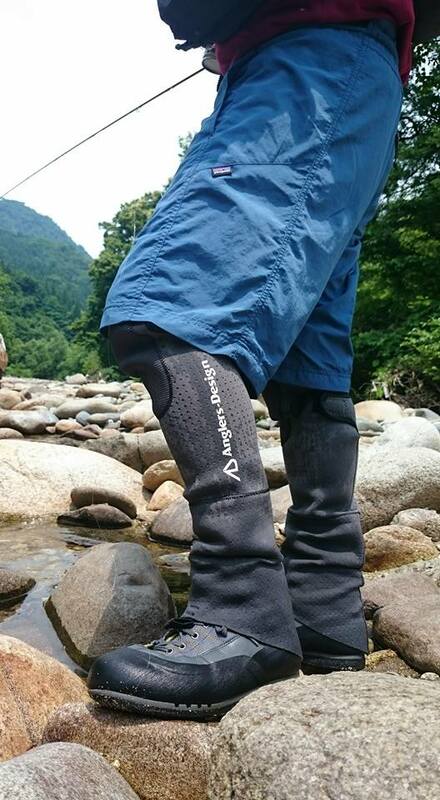 The feeling is amazing, knowing the gaiters can’t leak, but your legs get the protection of waders. Now I have a pair of Daiwa Neo-Gaiters, these are meant to be worn over pants or your legs, not waders, like the Little Presents, (LP). I found the LPs fell down on my chicken like legs, which drove my bonkers. The Daiwas are not perfect, but they actually stay above my knees, which is more than the LPs did. I don’t always wear gaiters. Sometimes I like to feel the sun on my legs and I’m not in rocky or unknown terrain, so I just wear my Chacos or Simms wading shoes. Since I fish in a place that experiences all four seasons, my gear varies quite a bit depending on time of year, type of terrain, altitude, river/stream type, and distance hiking in to where I want to fish. I'll break is down by season and to keep it simple, high gradient, alpine mountain streams. Patagonia lightweight wading boots with felt sole and Japanese pin plate wading crampons for added traction on ice/snow. Felt soles and ice are a bad combination. Sounds like a lot of gear but it doesn't take much here in Northern Utah to end up spending an unanticipated night camping in winter conditions. Finding dry wood for warming fire requires some heavy duty wood cutting/splitting capabilities. Other gear is about the same. Less extra clothing and trade the axes out for a large Fallkniven A1 knife for heavier wood processing. Little Presents Wet Gaiters. These are the ones with neoprene booties like waders use. 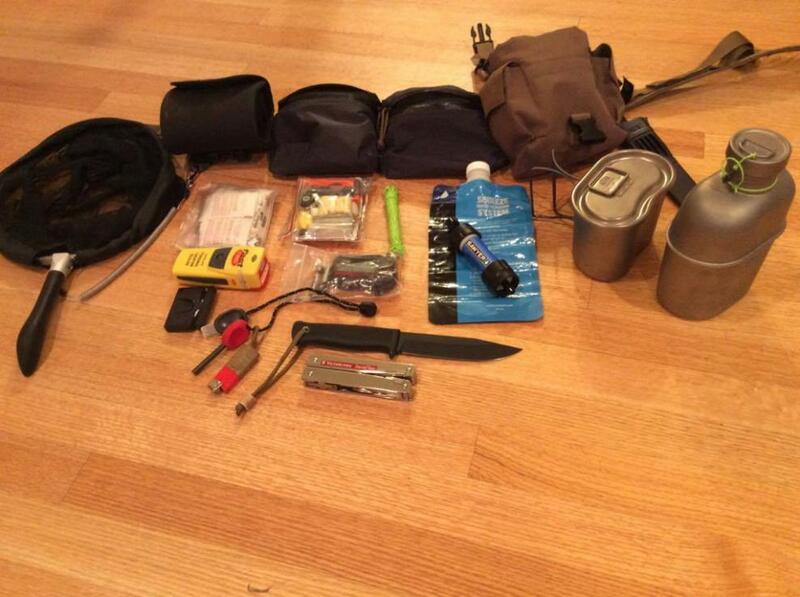 Depending on location and weather, if it's an overnight trip, a Warbonnet Hammock, or Zerogram ultralight tent/tarp. Same gear as listed above with accommodations for remote overnight backpacking. Tippet, level line, floatant, stream thermometer, Abel nippers, Dr. Slick small mitten clamp with scissor. Here are some helpful links from this collective article. All of these items are available for purchase from Keiichi Okushi at Tenkaraya.com Keiichi lives in Japan and has a Tenkara (and fly fishing) online stores. He is available for custom gear searches. He can assist you in your Keiryu wading choices.